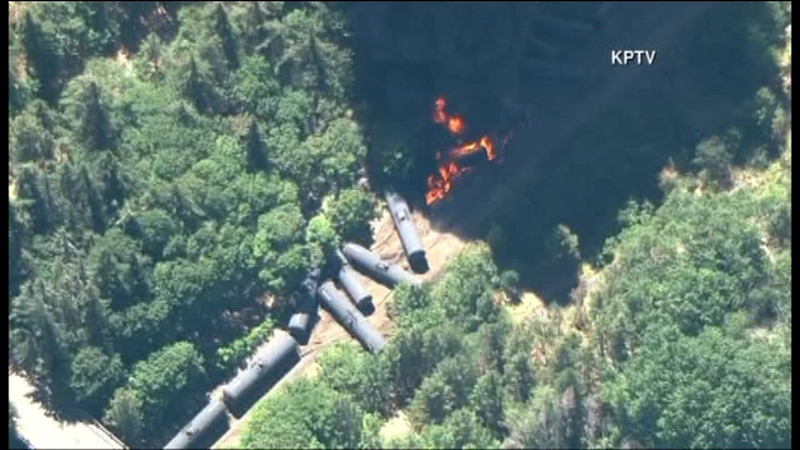 A train towing a highly volatile type of oil derailed Friday in Oregon's scenic Columbia River Gorge. 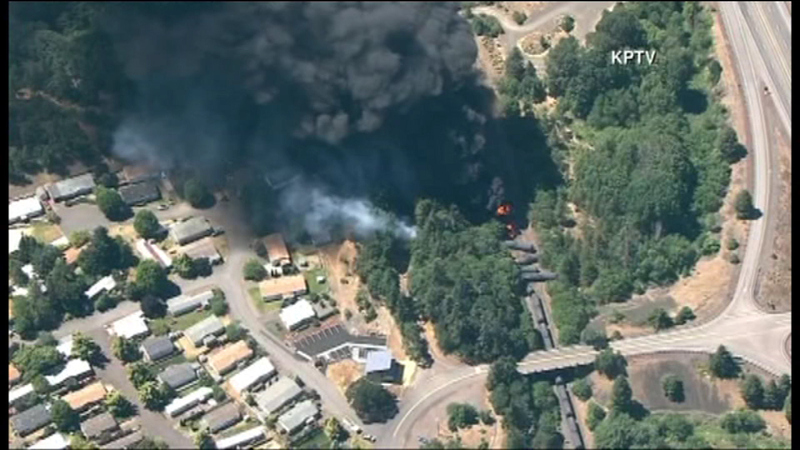 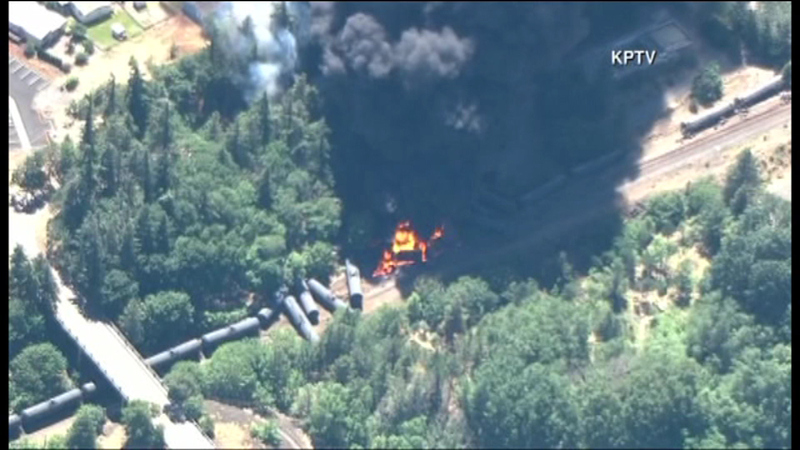 PORTLAND, Ore. -- A train towing a highly volatile type of oil derailed Friday in Oregon's scenic Columbia River Gorge, igniting a fire that sent a plume of black smoke high into the sky and spurring evacuations and road closures. 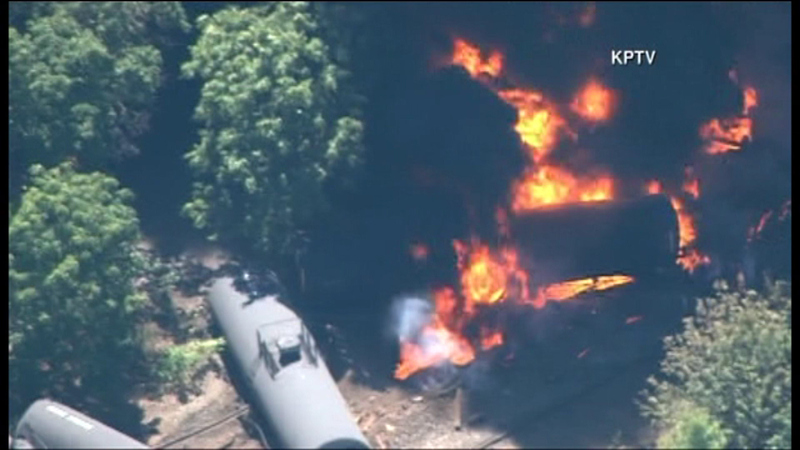 At least 12 of the oil trains that derailed were carrying crude from the Northern Plains' Bakken region - fuel that is known for being highly volatile. 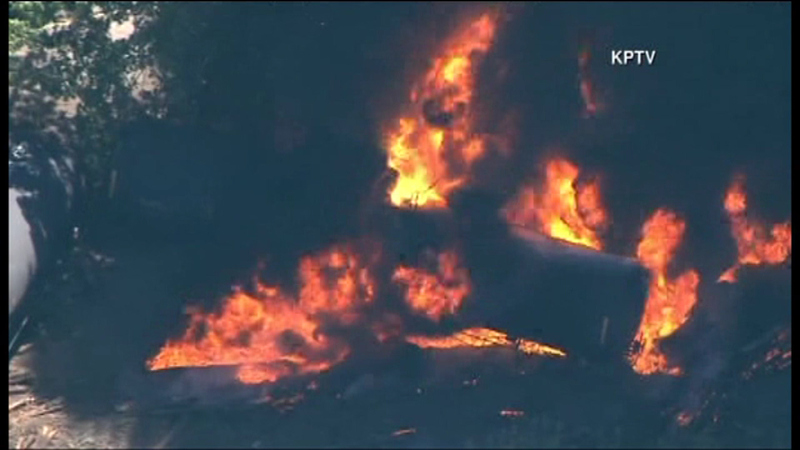 Of those, eight resulted in fires.